Our Trestle Barstools are as beautiful, functional and strong as their natural inspiration -- the plentiful train trestles that spanned gorges and allowed trains to conquer and serve the mountain west. 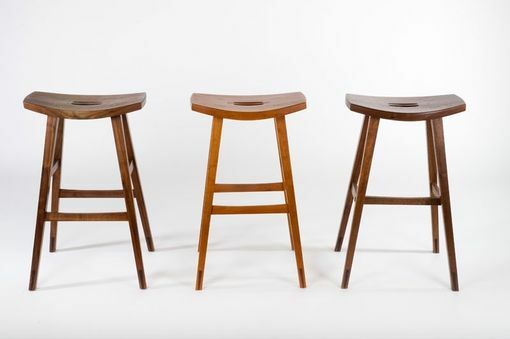 Each barstool features a gentle curve in the seat, so you sit in comfort and perfect posture. 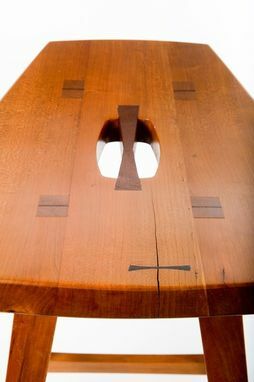 Details include leg-through tenons that are wedged on the top of the seat. This joint creates a wood accent that's also amazingly strong and impossible to work loose. 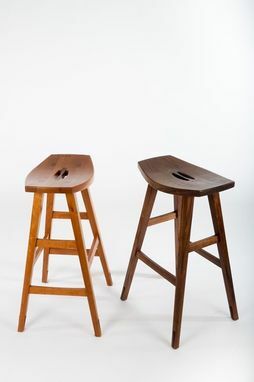 The dovetail shaped handle in the seat makes these barstools easy to move around. 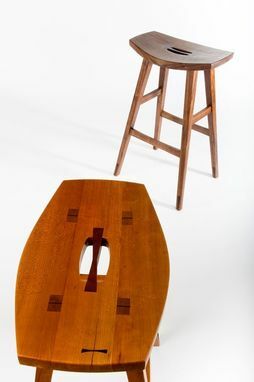 And the foot of the legs is accented with a darker colored wood wedge.